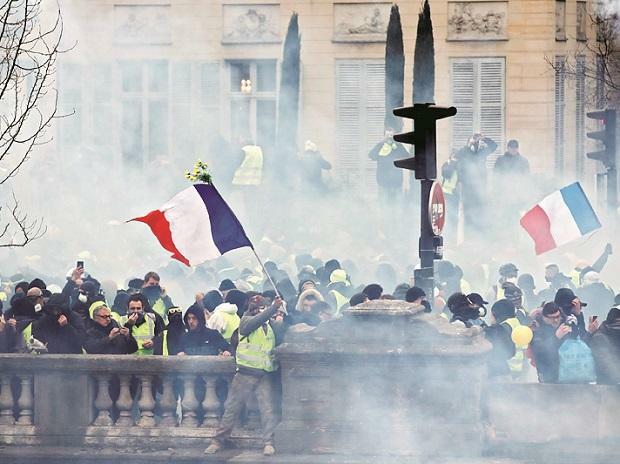 Yellow vest protesters are planning rallies in several French cities despite a national debate launched this week by President Emmanuel Macron aimed at assuaging their anger. A prominent and provocative protester is promoting a march Saturday starting at the Invalides monument in Paris, home to Napoleon's tomb, to honor hundreds injured since the movement kicked off November 17. Ten people have been killed in protest-related traffic accidents. Paris is deploying 5,000 police around the capital, notably around government buildings and the Champs-Elysees, stage of recent violence. Thousands of other police are fanned out nationwide. Saturday marks the 10th straight weekend of yellow vest protests and will test whether Macron's debate is diminishing the movement's momentum. The protests started over fuel taxes but became a broader revolt against economic problems.